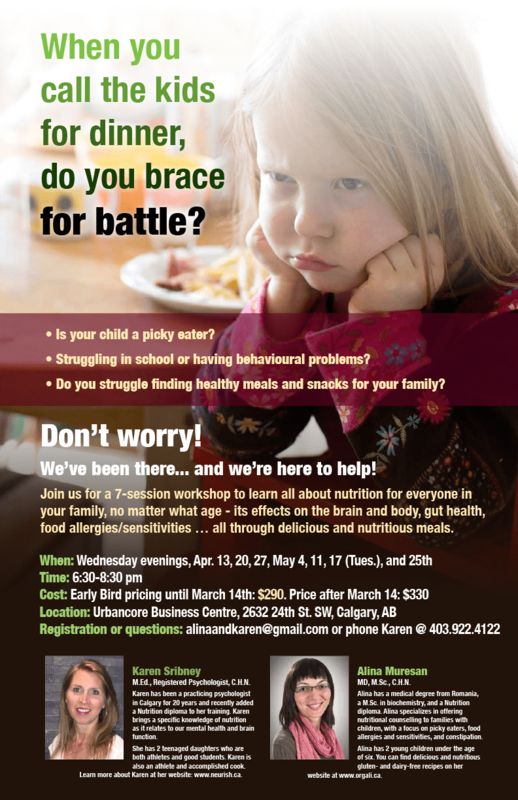 My friend Karen and I are organizing spring session for the Nutritional Workshop for Parents and Grandparents. If you would like to know how this workshop came to be, here is some background info about it. The Nutritional Workshop begins on April 13 and includes a total of 7 weekly sessions. Each session is 2 hours. Please read the workshop poster below for more information or contact me here if you have questions about it. I am happy to answer all your questions! We had great feedback from participants in our first workshop. You can read some of it here. For easier read, I bolded the feedback given by past participants. They are parents just like you and they also work hard to feed their families healthier meals. Karen and I hope to see you at the workshop in April!